TRIBAL focuses on the small scale skirmishes – raids, ambushes, revenge and murder – that have been recorded in history through song, dance, saga and legend. In these tales it is the prowess and Honour of the hero that is remembered – the lone warrior facing a band of foes and either triumphing in bloody hand-to- hand combat or, dying with Honour intact. Two interesting elements of TRIBAL: i) Honour drives the game – in the end determining who wins; and ii) Cards are used for measurement, unit consistency, activation and combat! 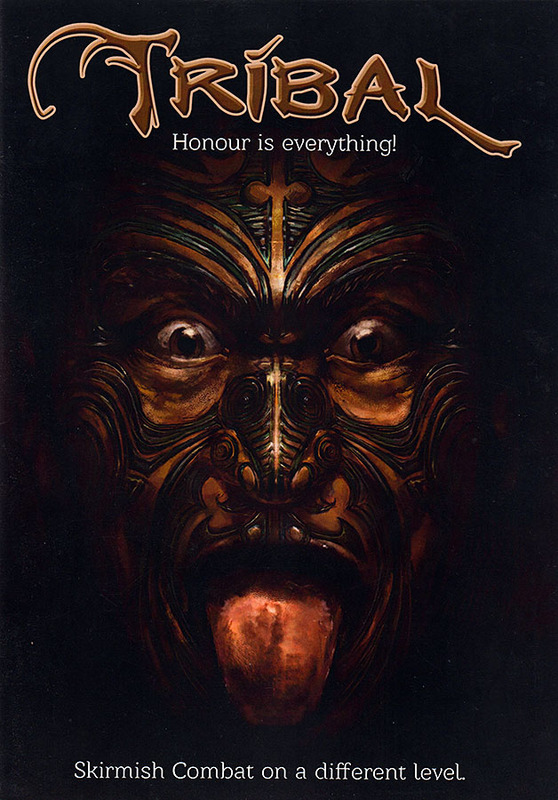 In the rules, there are notes on running Maori forces, as well as Vikings, Aztecs and Gladiators.